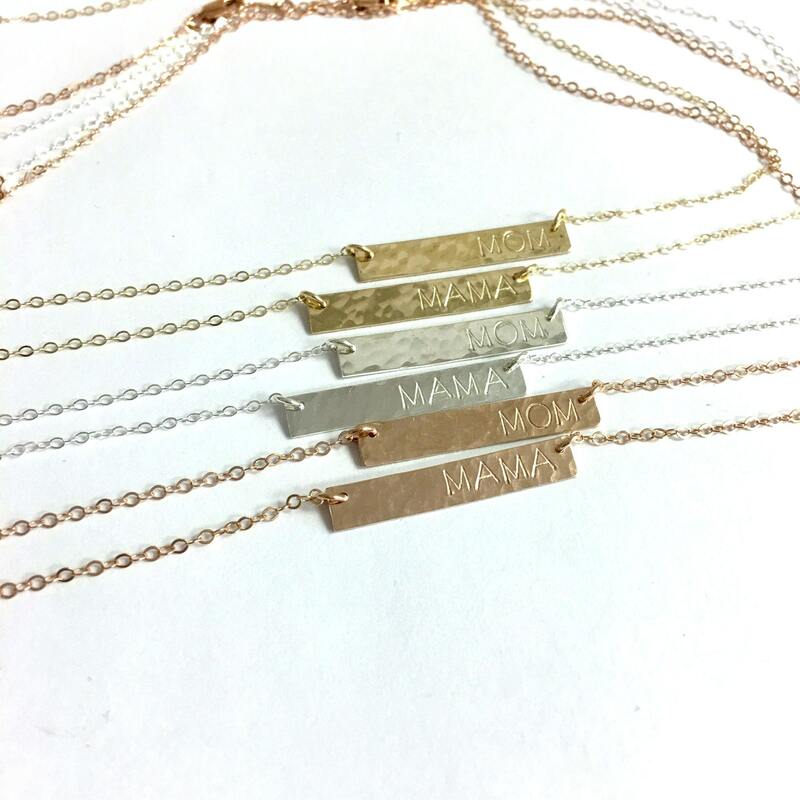 This custom hand stamped mama necklace is the perfect mothers day gift. 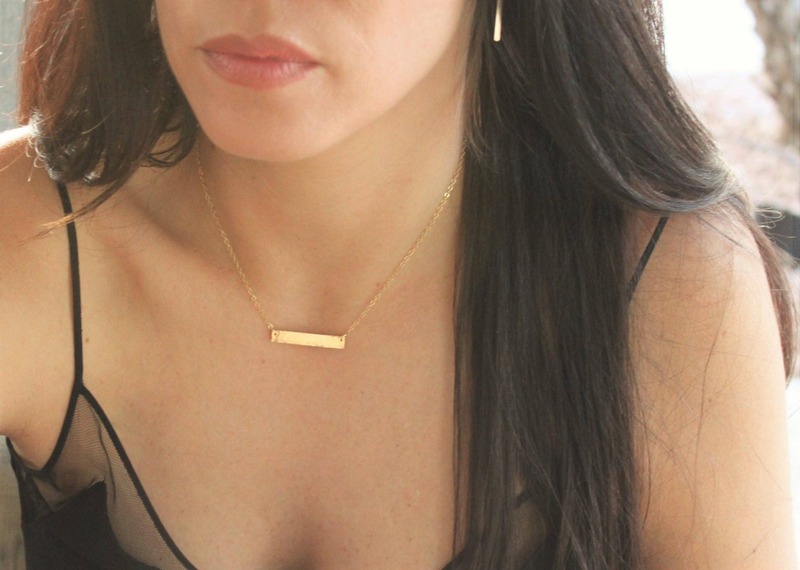 Classic and elegant, our dainty bar necklace is comes in your choice of gold, silver or rose. 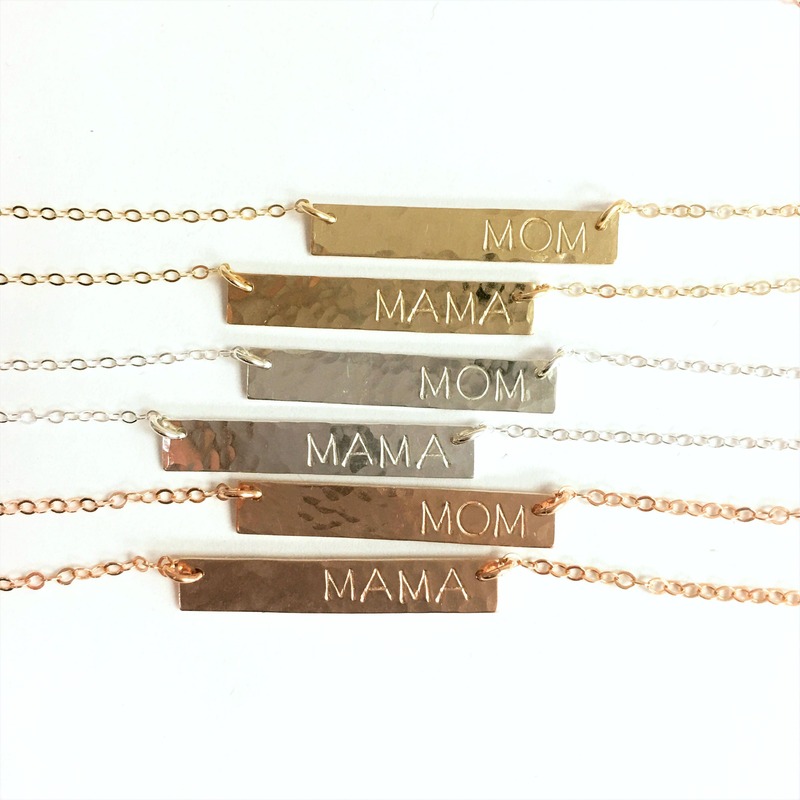 It's a meaningful everyday reminder of the gift of motherhood. 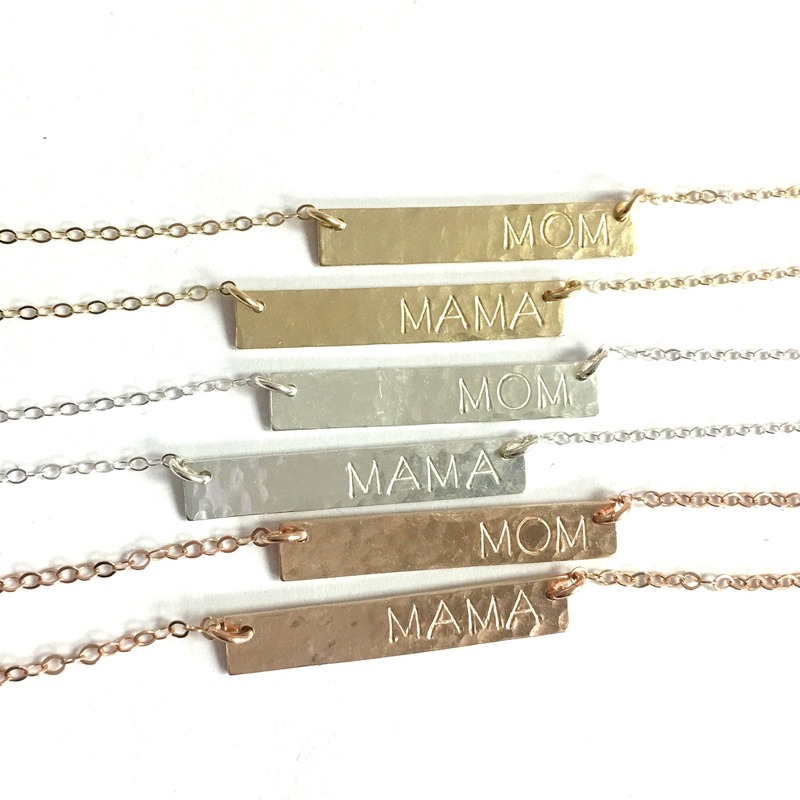 -Bar and chain are 14kt gold filled, sterling silver, rose gold filled - not plated. 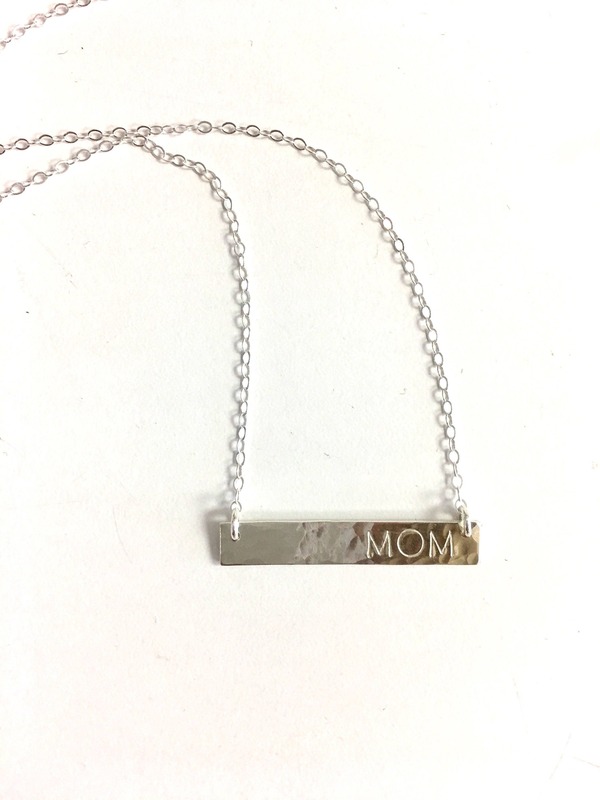 -Hand stamped with your choice of mom or mama. -Text is justified to the right to wear over your heart.